Routes are organized by the counties of their start location. Consult the map and the table below for help looking for a route in a particular area or municipality. 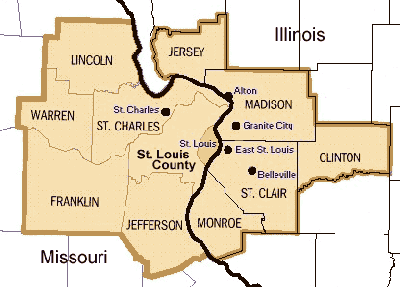 The map and table represent the Greater St. Louis metropolitan area.